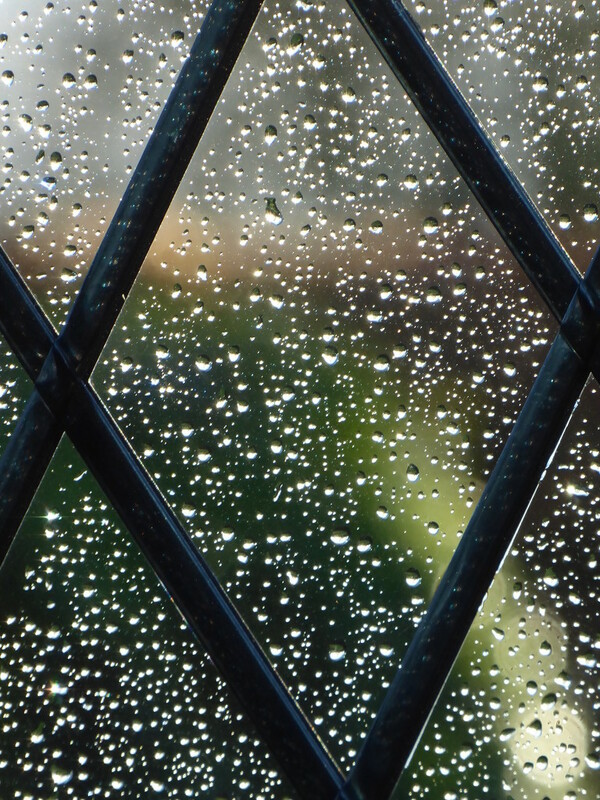 The same here too - but the raindrops make a lovely pattern in your lattice windows ! Same weather here, Diana. This is a nice picture of the raindrops. This is lovely, rain was finally forecast here too, but it hasn't happened yet and we desperately need rain. I love to see the rain, lovely image.